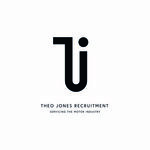 Automotive Vehicle Technician / Mechanic-Londra, Theo Jones Recruitment - Aplica pe eJobs! Are you an experienced and successful Automotive Vehicle Technician or Mechanic looking for a new challenge? Discover amazing opportunities in London and across the UK. Theo Jones Recruitment are seeking a fully trained Technicians / Mechanics to join their already successful clients working within busy prestige dealerships in London and across the You need to be a team player, able to work to deadlines and have the ability to use your own initiative. Are you an experienced and successful Automotive Vehicle Technician or Mechanic looking for a new challenge? Discover amazing opportunities in London and across the UK. You must be able to produce high quality work in a busy motor trade / dealership environment and be motivated through set targets, showing flexibility according to the needs of your team. Theo Jones Recruitment was established to provide extensive support to both clients and candidates for finding and posting automotive jobs and motor trade jobs. So far, we have been able to comply with our ethos of providing valuable assistance in this regard and delivering excellence at each instance. We have extensive experience of providing support for automotive recruitment and motor trade recruitment. Our vast experience and knowledge of the industry leads to Theo Jones Recruitment being recognised as one of the UK’s leading automotive online job boards. We have put together a team of experienced and expert professionals who qualify to be deemed as a leading authority for providing assistance regarding automotive job recruitment and placement.